Think Italy and words such as “romantic” and “culture” will no doubt come to mind! 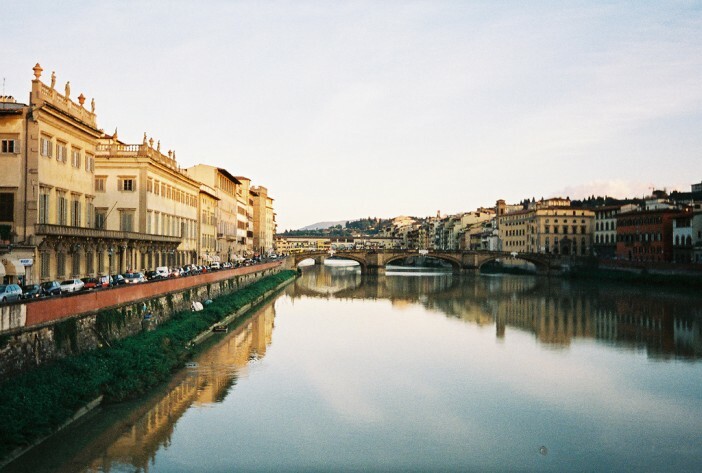 A cruise to the spectacular city of Florence will meet these expectations and much more. Read on to find out more, or click here to see our latest Florence cruise deals. Why go on a Florence cruise? Florence is famous for its history and was a European medieval centre of trade. Florence is seen as the birthplace of Renaissance and its rich culture has led to it being dubbed the “Athens of the Middle Ages”. The city gained UNESCO heritage status in 1982 and is noted for its Renaissance art, monuments and architecture. At the top of your sightseeing to-do list should be Florence’s most iconic landmark – the Duomo. This stunning neo-Gothic cathedral took almost 150 years to build and features a red-tiled dome, a bell-tower and a beautiful pink, white and green marble facade. If you are feeling particularly active you can climb the spiral staircase up the inner dome and be rewarded with spectacular panoramic view across one of Europe’s most beautiful cities. If you only have time to visit one art gallery then make it the Uffizi Gallery. The gallery’s highlight is a masterpiece filled Renaissance collection with an entire room dedicated to Botticelli. When you’ve had your fill of art, venture up to the rooftop cafe for a coffee with fantastic views. Spend a relaxing few hours exploring the tranquil park of Giardino Bardini – named after the art collector Stefano Bardini who bought the villa in 1931 and lovingly restored its medieval garden. Today the park has all the features of a typical Tuscan garden with an orangery, marble statues and fountains. However you choose to spend your time in Florence you are sure to fall under the spell of this charming city. Departing from Rome you will sail to Chania, Mykonos, Ephesus, Athens (Piraeus), Santorini, Katakolon, Rome (Civitavecchia), Florence/Pisa, Nice (Villefranche), Ajaccio, Palma De Mallorca and Valencia before disembarking at Barcelona. This cruise includes a hotel stay in Rome. Departing from Venice you will then sail to Dubrovnik, Ephesus, Santorini, Katakolon, Venice, Kotor, Naples, Rome (Civitavecchia), Florence/Pisa, and Toulon, finishing in Barcelona. This cruise includes a hotel stay in Venice.